Insisting their actions didn’t constitute a military coup, the Thai military imposed martial law on the country without consulting the government. The careful wording was probably intended to mollify the rising anxieties of Thailand’s Red Shirt faction, which for the second time in eight years, has seen a government that it elected prevented from governing by the military. 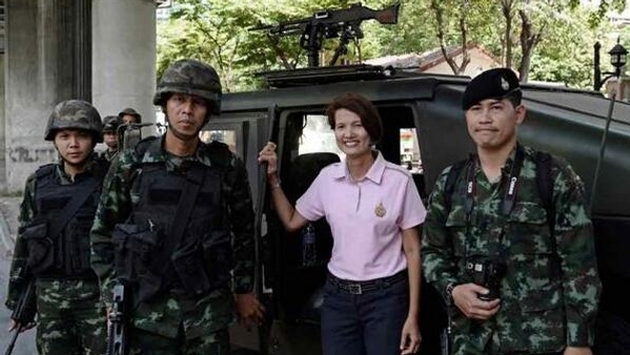 Ever since the Thai courts recently found Prime Minister Yingluck Shinawatra and nine cabinet members guilty of abusing power, the fear has been that Red Shirt factions would take to the streets and collide with the Yellow Shirt faction. For stakeholders in Thai tourism, these developments stalled what they had hoped would be a recovery after the six months of demonstrations that just recently concluded with the appointment of an interim government. The annual Songkran Festival in April left a trail of optimism as it saw a wave of about 1.5 million tourists (including 114,000 foreigners) travel throughout the country to commemorate the New Year. "Tour operator members of the United States Tour Operators Association are closely monitoring the situation in Thailand and, as of now, tours are running as normal," said USTOA President Terry Dale. "As always, travelers are encouraged to be cautious. Security and well-being are main focus of our members’ tours, so should the situation change, appropriate adjustments will be made." Diethelm also stressed that “all beach resorts and other destinations within Thailand have not been affected by the political situation and the airports and other transportation systems are running as normal.” Past crises in Bangkok have led to the creation of numerous direct international flights to other destinations in Thailand beyond Bangkok. Phuket has been especially successful at continuing to thrive despite the political situation in the capital.